Cal's approach to love and romance is also endearing and entertaining, mainly because anyone who has fallen in and out of love can relate to his skepticism. Every Boy's Got One is another great "feel-good" novel that you can pick up without needing to be in a specific mood. It has that hard-to-put-down element that will have you speeding through it to reach the end. The novel is part of Meg Cabot 's ongoing "Boy" series, which doesn't need to be read in any specific order. 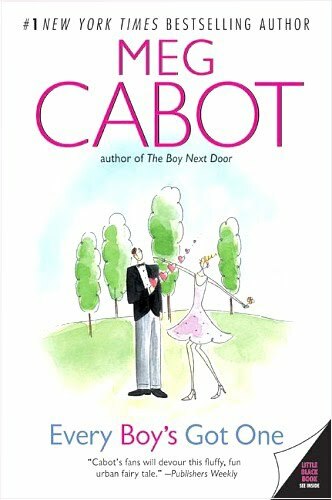 I've yet to be disappointed by a novel from Meg Cabot . If you are interested in more of Meg Cabot 's work, I highly recommend reading The Princess Diaries series (which has also been made into a movie series featuring Anne Hathaway), The Boy Next Door , and Size 12 is Not Fat . Given my past reading experiences with her, I'm sure any of her many other titles will be largely enjoyable!